UK Planning Maps is a quick and easy source of maps and plans for your planning applications. We offer maps in a full range of scales and formats. Selecting your map is easy. Our website works on all computers, and all browsers – no specialist software is needed. You can highlight areas in a red or blue boundary and add your own notes. Most customers place their orders within 3 minutes with our simple online ordering process. Plans are ready to download immediately, whatever time of day you place your order. With every order we automatically offer 6 free prints of your map in addition to your electronic copy, just select the tick box when ordering. Your Free Guide to Planning Applications. Please read our Free Guide to preparing your Planning Application, we recommend you read this in full and watch the accompanying video. Really simple process and any problems solved promptly. Highly recommend. A very quick and easy process! Very good service. I missed the bit on the web site where you select a border for the plot but a short telephone call had it resolved in next to no time. Thank you. This process of downloading a block plan for the purpose of a planning application is the easiest part of the procedure. Exhalent service 10/10. Easy process and the plan was just what was required. Thank you. Our planning department told us we must have the scale and N/S on the map. They also wanted the whole plot outlined in red not just the rear garden. I emailed UK Planning Maps and they updated our map with all requirements. They returned the updated map quickly and, I would have given UK Planning Maps an excellent if there had been one. Thanks UK Planning Maps. Very simple to use, very quick, 10 mins from start to finish of transaction, immediate download of map, Would recommend. Why choose UK Planning Maps? Homeowners and Professionals alike rely on UK Planning Maps to provide the map they need at unbeatable value for money. Our Maps are guaranteed Planning Application Compliant. All our plans are correctly licensed, scaled correctly, and carry the North arrow required for your planning application. Every Map we produce uses high quality, up to date Mapping. 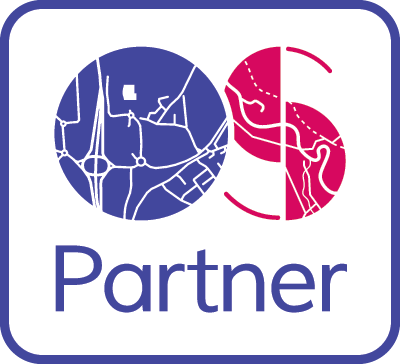 We are an official Ordnance Survey Licensed partner and our maps use their professional grade Mastermap® data. Its Quick and Easy to order our plans online. Most of our customers place their order within 3 minutes from start to finish, with instant download and delivery to your email inbox 24 hours a day. Excellent Prices. We work hard to keep our prices as low as possible, while offering quality mapping and service. UK Planning Maps is the cheapest provider of professional mapping. Most customers save at least 20% compared to their previous supplier. All queries are handled by our UK based staff. Please call us on 01856 898 022 with any questions. Search for your site by Postcode, Address, Eastings / Northings, Latitude / Longitude or Google Map. Your plans are prepared instantly and automatically. Download your file immediately after you confirm your order. We do not charge an account fee, you only pay for the maps you need. We also do not charge a browsing fee and offer free preview of OS Mastermap Data. Our map selection system works with any computer and any browser. All DWG and DXF files come with optional OS height contour lines. We also offer Digital Terrain Model (spot heights every 5m) at low prices. Our Word Documents are easily customisable to add your logo at the top of every plan you purchase. UKPlanningMaps.com is a website run by copla ltd who are an Ordnance Survey Licensed Partner selling Ordnance Survey mapping data including Location Plans, Site Plans and Block Plans suitable for Planning Applications. This website is copyright Copla ltd, 2019. Copla ltd is a limited company registered in England and Wales. This website contains Ordnance Survey data © Crown copyright and database rights 2019, Royal Mail data © Royal Mail copyright and database right 2019.